We use data science to analyse patterns in big cultural data. The lab is directed by Lev Manovich, a pioneer in the field of cultural analytics. The posts from 2018-2016 are on our archive site: www.softwarestudies.com. Sample illustration from: Everardo Reyes-Garcia. The Image-Interface: Graphical Supports for Visual Information (London: Wiley-ISTE, 2017). Everardo Reyes-Garcia. The Image-Interface: Graphical Supports for Visual Information (London: Wiley-ISTE, November 2017). 70,000 words. Digital practices are shaped by graphical representations that appear on the computer screen, which is the principal surface for designing, visualizing, and interacting with digital information. Before any digital image or graphical interface is rendered on the screen there is a series of layers that affect its visual properties. To discover such processes, it is necessary to investigate software applications, graphical user interfaces, programming languages and code, algorithms, data structures, and data types in their relationship with graphical outcomes and design possibilities. This book studies interfaces as images and images as interfaces. It offers a comprehensible framework to study graphical representations of visual information. It explores the relationship between visual information and its graphical supports, taking into account contributions from fields of visual computing. Graphical supports are considered as material but also as formal aspects underlying the representation of digital images on the digital screen. 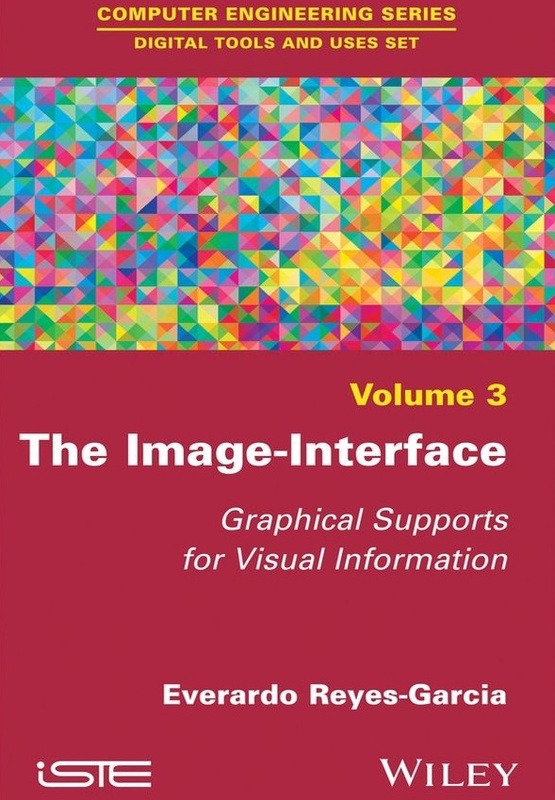 Learn more about Everardo Reyes-Garcia's The Image-Interface: Graphical Supports for Visual Information and read excerpts from the book on the publisher’s website.